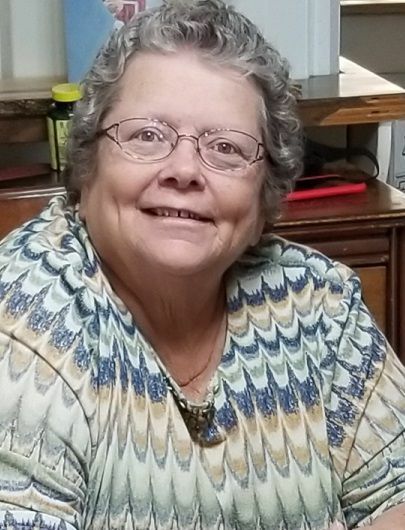 Delores “Dee” Laverne Dunaway Watson, loving mother, grandmother, sister and friend, went to be with her Lord and Savior, Jesus Christ, on Sunday, April 7, 2019 overcoming her battle with lung cancer in Tucson, Arizona. She was born on August 30, 1947, in Austin, Texas to Arthur Dunaway and Sigrid Poole Dunaway. She has two siblings, Frank Arthur Dunaway of Austin Texas and Sally Lynn Hicks of Tucson, Arizona. 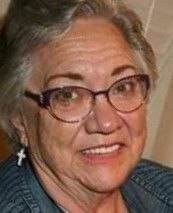 She married Lynn Douglas Watson and had two children, Carla Lynn Watson and Lynn “Doug” Watson Jr.
Dee loved serving Jesus through volunteering, attending her church and sharing her faith with those she came across in life. She was a member of Calvary Baptist Church while she lived in Elko, Nevada. Dee made many friends and touched many lives in Elko and Tucson. She is loved by family and friends and will be dearly missed. Through our faith we know we will see her again. She is survived by her siblings, Frank and Sally; children, Carla (Ron Hornsby) of Tucson, Arizona and Doug Jr. (Kelly) of Elko, Nevada; grandchildren, Matthew Watson (Samantha), Marcus Watson (Mercedes Lynge), Justin Williams (Aiyana Barreras), Shawn Williams, Krista Furse (Steven), Bailey Watson and Addison Watson; great-grandchildren, Nevaeh, Cheyanne, Heaven, Jackson and Rowan; niece, Katie Dunaway; nephews, Aspen Dunaway, Josiah Dunaway, Nathaniel Dunaway and great-nephew Ayden Dunaway. The family would like to thank the staff of Casa de la Luz Hospice in Tucson, Arizona for their compassionate care. A memorial service will be held on May 11, 2019, in Tucson, Arizona at Harvest Center Christian Church, 965 W. 24th Street, Tucson, Arizona, 85713. Dorothy was born on August 23, 1946 in Imlay, Nevada to parents Daniel and Ruth Drake. She was the youngest of three children; her two older brothers were Lysle and Lynn Drake. The family moved to Carlin, Nevada when Dorothy was young and that is where she attended school and Carlin became her lifelong home. Dorothy was known for her infectious laugh and everyone knew it was Dorothy by the way it always lit up a room. Dorothy had a great love for those in her life, and that love touched not only family but her community with her guidance and wisdom for all who may be in need. Dorothy was known by her grandkids and great grandkids as “Granny Goose,” which seemed to fit her perfectly and she was proud to own it. At the age of 18 Dorothy married her first husband Earl Eklund. Together they had a son, Earl Chad Eklund in 1965, and he was her pride and joy. Two short years later Dorothy was widowed. In 1977 Dorothy married Delos Jones. He had two children, Michael and Carrie. They became one big happy family. Sadly in 2010, Dorothy was widowed for a second time. Dorothy is survived by her brother, Lysle (Betty) Drake; son, Chad (Shawna) Eklund; son, Michael (Cheryl) Jones; daughter, Carrie (Rick) Huntley, 23 grandchildren and 26 great grandchildren. She will be forever loved and remembered. Funeral Services will be held on Friday, April 12, 2019 at 11:00 a.m. at the Carlin First Baptist Church, 422 Bush Street, Carlin, Nevada 89822, with a reception to follow.